Received the rest of the 2b-RAD primers and resuspended them to 100 uM. Used 10 samples from 9/28/15 digestion and ligation. Numbers in parentheses are so I know which tube from the ligation each sample is in. Added 50 uL of MM to 40 uL of ligation product. Added 5 uL of 1uM BC and HT to each sample, using BC1-10 and HT1. This time, set up a medium gel for 8 of the samples and a small gel for the other 2. Made a 2% TAE gel, and after running it at 110V for 1 hour let the gels soak in water with 6 uL of EtBr to increase staining. 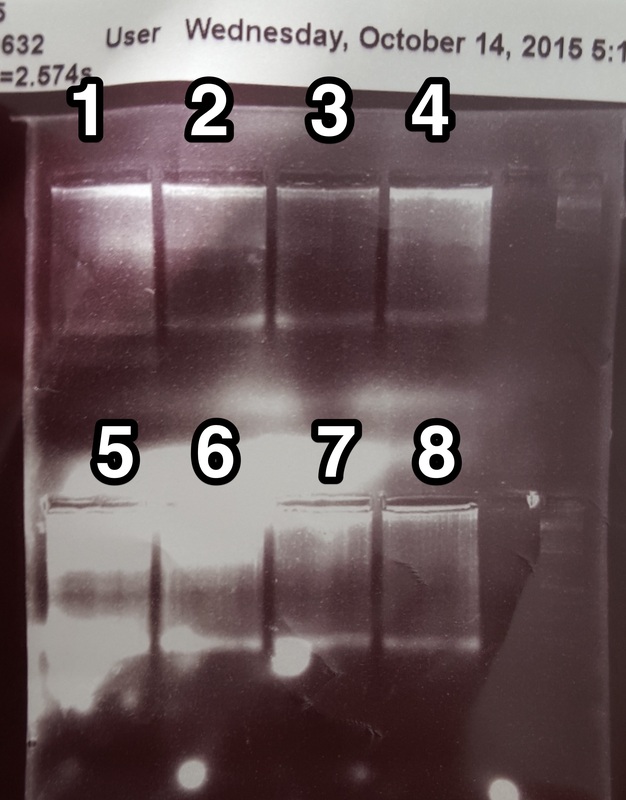 PCR used 19 cycles. I think I should make sure to mix in the EtBr when doing the post staining as that is likely why there are bright white sections on the gels. It was still much easier to see the bands though. Cut out the bands and left them in 1.5 mL tubes in 4degC for gel extraction on Friday. 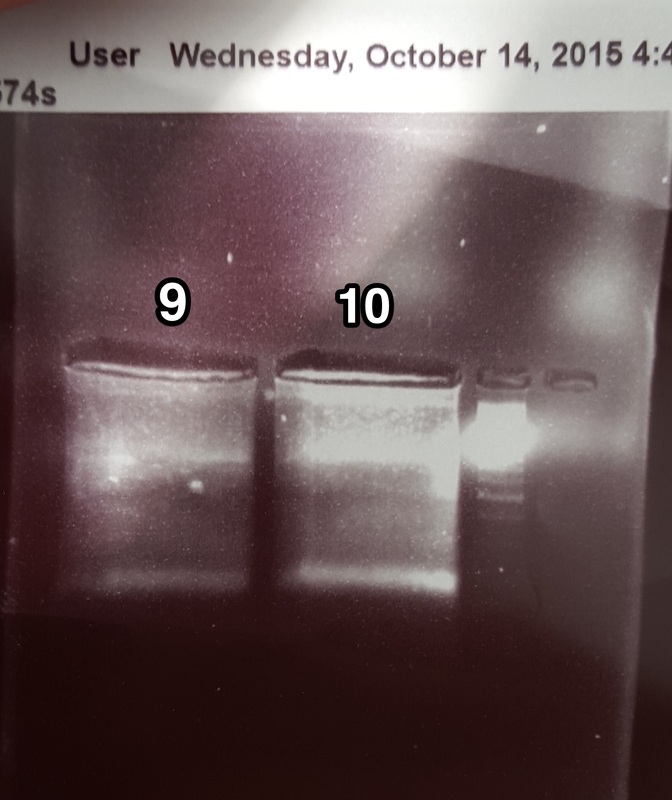 This entry was posted in Lab Notebook, Puget Sound Oly Common Garden and tagged 2b-rad, dna extraction, Fall 2015, gel, PCR by ksil91. Bookmark the permalink.